There are some serious (many food related) benefits to nabbing yourself a close friend from South Africa, namely, when they come to stay, they bring good stuff! When "the other Ashleigh" came to visit a couple of weeks ago she arrived laden with delicious breakfast rusks, a pack of biltong, and two of these adorable little dark green squashes. 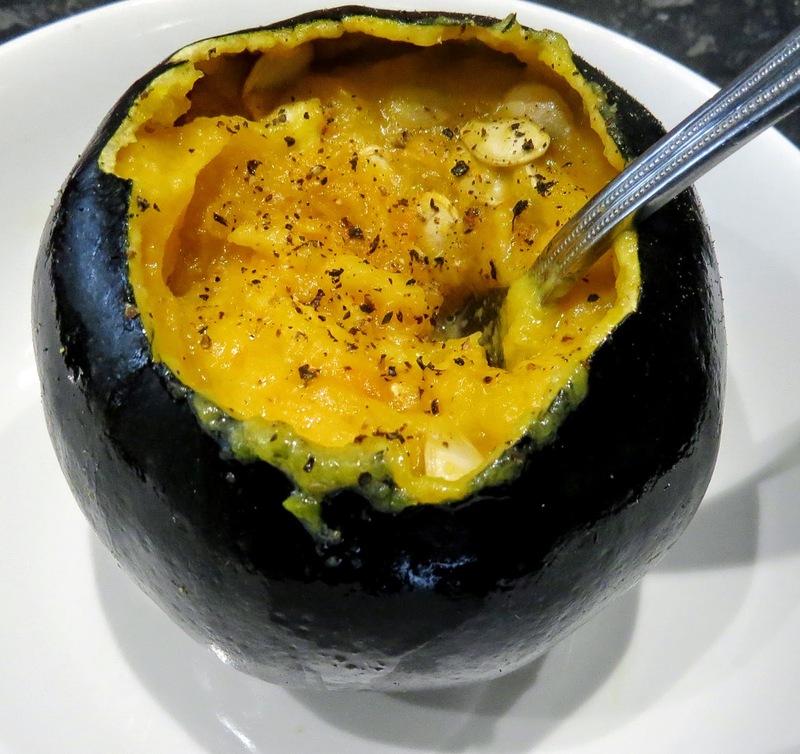 The gem squash is a super common vegetable served either baked or boiled in South Africa. I popped the squashes in the oven, and baked until they felt squidgy to the touch. Once removed from the oven, all you need to do is cut the top off, and stir through some butter and black pepper. The skin takes on a brittle shell like texture that makes the perfect bowl, and as the butter melts in to the flesh it takes on a thick, almost soup like consistency.